About 40 Km from the IT hub city of Bengaluru in south India, lies a remote hamlet known as “Byalalu.” Travelling on Bengaluru-Mysore highway, one needs to take a right turn in Kumbalgod Industrial area and then proceeding on a rather bumpy road, he can reach this sleepy hamlet with plain farm land dotted around and a typical rural setting. Readers are likely to ask a question as to why in the first place any one would like to travel to Byalalu? Located just in the vicinity of this hamlet, only about a Km away, is India's principal communication centre for spacecraft known as deep space network. 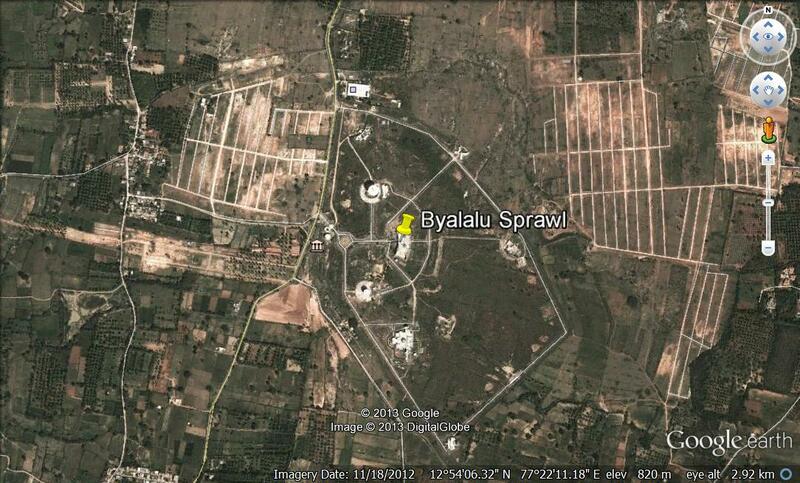 Even a casual visitor to this area would not fail to see huge white dish antennas directed somewhere in space. This campus has large antennas of 32-metre and 18-m diameter to track planetary projects such as the Mars and the lunar missions. India's first Lunar mission, “Chandrayan I” was controlled from here and the Mars orbiter mission that is likely to take off in October or early November so as to leave Earth’s atmosphere by November 27, would also be controlled from here. A new facility was commissioned at this complex this week, that would soon become the nerve centre or the hub, of India's forthcoming navigational satellite constellation, called as Indian Regional Navigation Satellite System (IRNSS), which would be an independent regional navigation satellite system designed to provide position accuracy better than 10m over India and the region extending about 1500 kms around India. It will provide an accurate real time Position, Navigation and Time (PNT) services to users on a variety of platforms with 24x7 service availability under all weather conditions. In simple terms, IRNSS would be an independent positioning system like GPS that will give data on the position, navigation and time of persons or objects to a range of users. This nerve centre would become truly operational, when India's first regional navigational satellite, R1A, gets launched at midnight on June 12,2013. 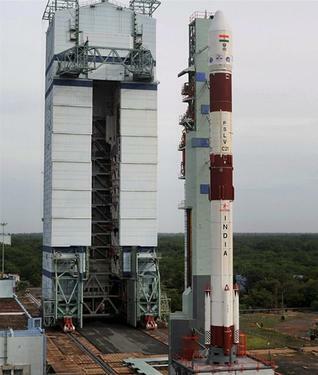 The satellite will be launched on the PSLV rocket from Sriharikota, on east coast of India. This satellite would be joined by 6 more satellites to be launched within next three years to form the IRNSS constellation that will give data on the position, navigation and time of persons or objects to a range of users. This facility houses a high stability atomic clock to keep precise time and reference, pool and synthesise navigational messages and coordinate 21 ground stations across the country. 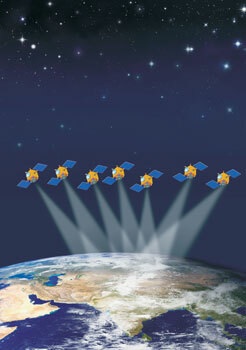 The constellation of 7 satellites in space will give positional accuracy of within 10 meters. Its users will be from aerospace, military, all transport systems, geo information of the Survey of India and also individual users. Two basic services would be available as standard Positioning Service (SPS,) one for common civilian users and second one for Restricted Service (RS) for special authorized users. Satellites of the IRNSS constellation would be identically configured with each spacecraft weighing 1425 kg. The navigation software for IRNSS is being indigenously developed at ISRO.